I read in Seventeen magazine that September 5th kicks of Popcorn Weekend. Seeing as Seventeen is not a trusted source for breaking news and I could not find info on this holiday online I still am going ahead and saying let's celebrate and eat popcorn! I usually pop a big batch with kernels, coconut oil and then pick a topping. However sometimes getting another pot or popcorn machine dirty is not in the game plan. 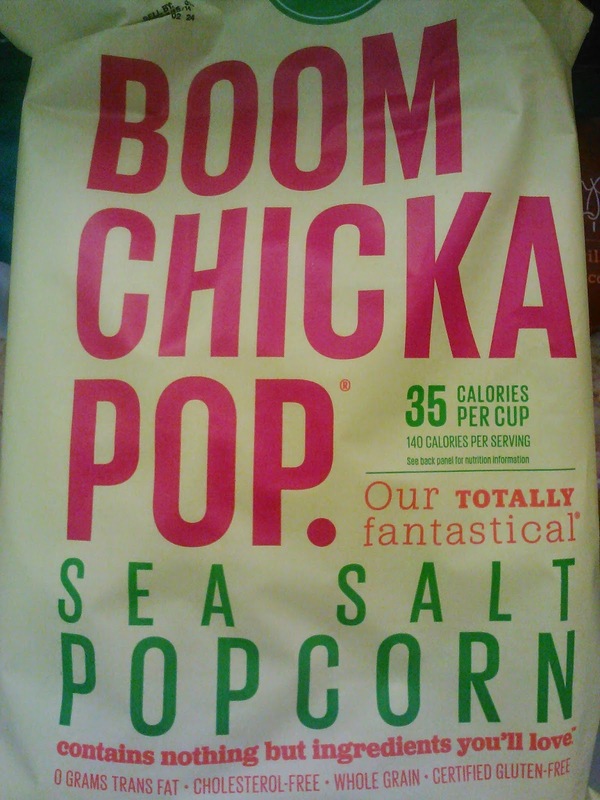 Still craving salty puffs of corn it is not hard to reach for a bag Boom Chicka Pop. Sea salt perfection plays out nicely for your salty cravings with a healthy whole grain boost clocking in at 35 calories per cup. A no guilt snack - not that one should have guilt associated with food, let's not go there! The company also has sweet varieties that you can find at Target - just look for the vegan icon on the back. I love popcorn! I often find myself reaching for the bagged kind rather than making my own too.